As far as clones of Koei Tecmo's Warriors (Musou) franchise goes, Fate/Extella on the PlayStation 4 and Switch is one of the better examples. Taking the characters from the popular visual novel and anime franchise, and effectively throwing them in massive brawls, it was smooth, fast, and very enjoyable. 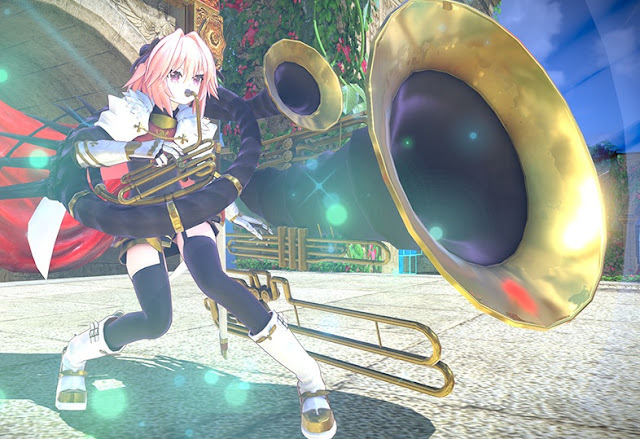 Fate/Extella Link hasn't been confirmed for a western release yet (as far as I'm aware), but it would be madness not to, as it looks like it takes the basis of the original game and enhances it in every way. Most notably, there are now multiplayer battles! Four a side online brawls! This is something I've wished would make its way into Koei's own Warriors games for quite some time, and judging from the few seconds of footage in this trailer, it's going to be a delight to play in Fate/Extella. The game releases on the PlayStation 4 and Vita in Japan on June 7. Only the PS4 version has the online battles, and who knows where the Switch release is - hopefully it can all be announced together when a western localisation is confirmed.